​ Every step must take the floor in the “parallel and” position unless otherwise noted. The third beat of step #4 (ROF Swing) is at the top of the first center lobe. The takeoff for step #5 (XF-LOF), a cross roll, must be crossed-foot, crossed tracing, close and angular. There should be no rockover preceding this step. Step #6 (RIF-RC) begins at the top of the first straightaway barrier lobe. 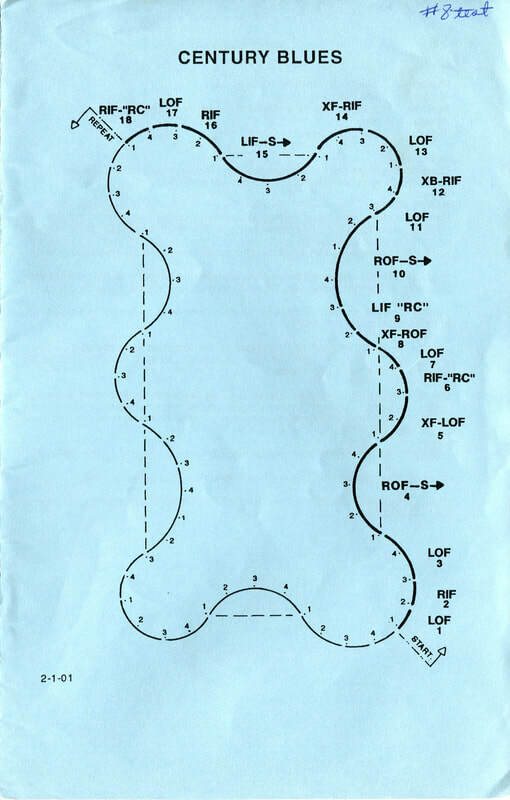 The takeoff for step #8 (XF-ROF), a cross roll, must be crossed-foot, crossed-tracing, close and angular. There should be no rockover preceding this step. The second beat of step #10 (ROF Swing) is at the top of the second center lobe. Step #12 (XB-RIF) is a crossed chassé. The takeoff for this step must be crossed-foot, crossed tracing, close and parallel. Step #14 (XF-RIF) is a crossed progressive. The takeoff for this step must be crossed-foot, crossed-tracing, close and parallel. The takeoffs for step #15 (LIF Swing) and step #16 (RIF) must be made in the “angular and” position. There should be no rockover preceding these steps. 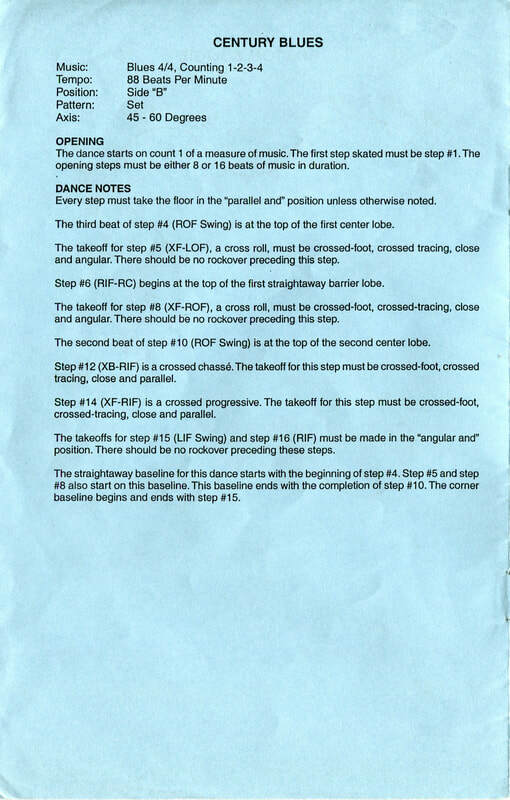 The straightaway baseline for this dance starts with the beginning of step #4. Step #5 and step #8 also start on this baseline. This baseline ends with the completion of step #10. The corner baseline begins and ends with step #15.